Our Laminar Flow Panels are designed for use in specialist applications where the mixing of fresh and existing room air and the subsequent spreading of airborne particles cannot be tolerated, our laminar flow systems provide very low turbulence fresh air in a vertical flow pattern, avoiding up-currents and providing a clean, germ-free air zone. 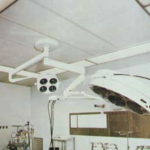 They are therefore ideally suited for use in hospital operating theaters, laboratories, computer rooms and television studios amongst others. The system can be matched to the room design so that it can either form the whole ceiling arrangement incorporating light fittings and other items or it can be a single panel where a particular zone requires special conditions. As it can provide fresh air over a wide space it is also suited to applications where standard diffusers cannot provide the air change capacity needed. The panels comprise of a perforated aluminium sheet with an extruded aluminium frame. The plenum is made from galvanised Steel with a top entry spigot. Dampers are not recommended in the entry spigot due to noise limitations. It is recommended that they be fitted in the upstream ductwork. When individual panels are supplied the plenums are formed by enclosing the back of the frames with a panel and having a separate spigot for each sub-unit. 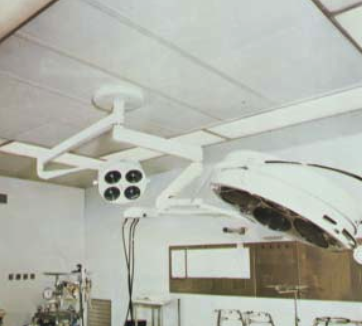 For individual panels, the PF diffuser is suited for laying in a T bar ceiling system. The PC diffuser is fitted with a surface mounted frame design and the PD with a recessed mounted frame. Both the PC and PD are supplied with side suspension brackets for use with drop rods or suspension wires. Special fixing arrangements are available on request. For multi-panel assemblies provision is made on the frame for suspending the whole unit and details of typical fixings are given within this brochure. Normal fixing is via adjustable rods from the ceiling slab. The panel is available as standard, powder coated in RAL 9010 Matt White. Please refer to the product coding section within this brochure for a list of other standard finishes. Special finishes are available on request.